The holidays mean togetherness, right? And often you’re getting together with many different people that have a wide range of dietary needs. When it comes to those who eat gluten free, we’ve got plenty of options. 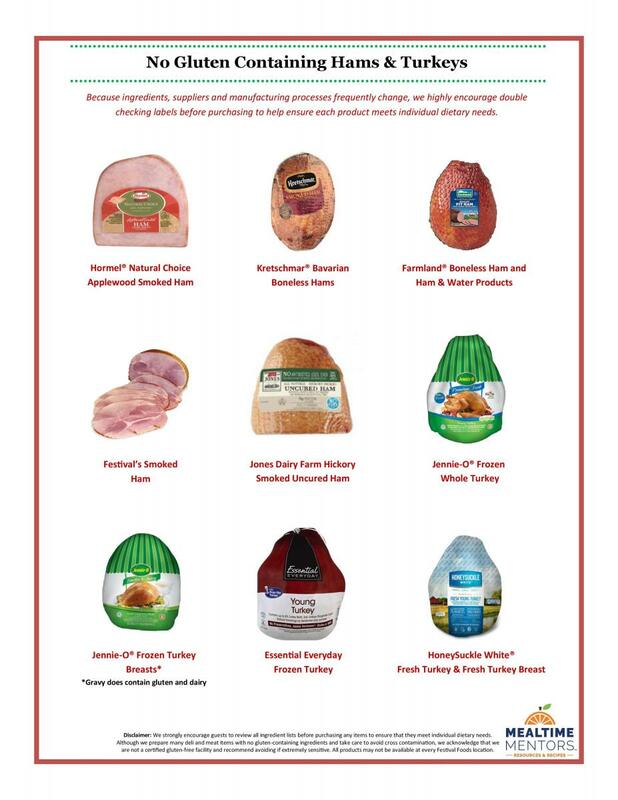 Check out the turkeys or hams featured in our gluten free holiday list laid out below. Also, don’t forget about our amazing Allergen Friendly Holiday Guide, which is packed with great information. AND we have plenty of items without gluten ingredients in our Deli.